o Paris Peace Accords is dead, declared Hun Sen on October 11, 2017. 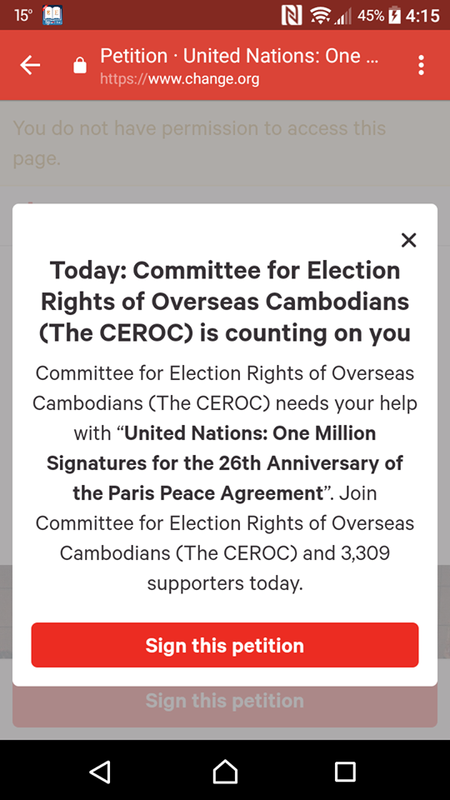 According to Hun Sen, the same 1991 Paris Peace Accords, that brought peace, democracy and human rights to modern Cambodia, is a ghost of the past. 1. 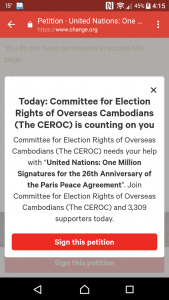 The United Nations and the 18 signatory countries could not ignore the ongoing setback of democracy development in Cambodia especially the intent of government-led party that is planning to dissolve and take away the parliamentary seats of the opposition party Cambodia National Rescue Party (CNRP) prior to the upcoming elections. 2. To urge the two largest political parties that have seats in the Assembly ie. 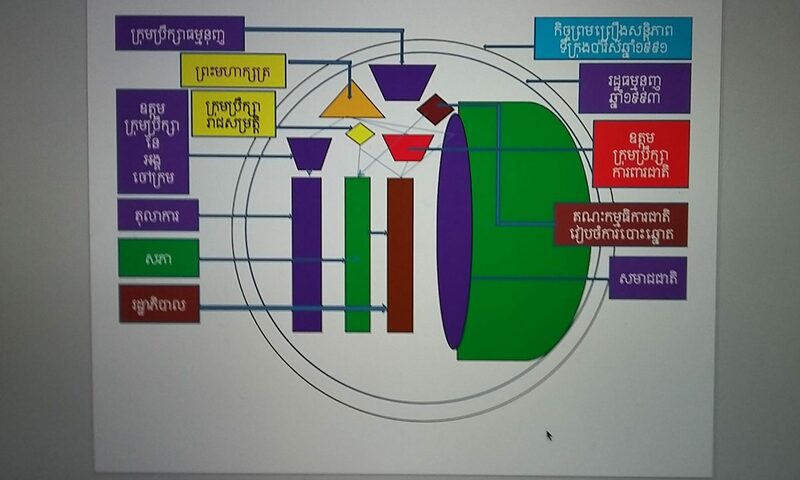 Cambodian People’s Party (CPP) and Cambodia National Rescue Party (CNRP) come to the dialogue table according to the spirit of Constitution to ensure normal political climate for Cambodian people, and to release those political prisoners. 3. To urge a free, fair and transparent election, free of threats towards political parties and National Election Committee (NEC) for the upcoming Senate election in January 14, 2018 and the Parliamentary election in July 29, 2018.